The Cambridge Companion to Irish Poets offers a fascinating introduction to Irish poetry from the seventeenth century to the present. 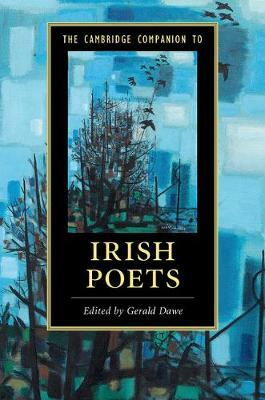 Aimed primarily at lovers of poetry, it examines a wide range of poets, including household names, such as Jonathan Swift, Thomas Moore, W. B. Yeats, Samuel Beckett, Seamus Heaney, Patrick Kavanagh, Eavan Boland and Paul Muldoon. The book is comprised of thirty chapters written by critics, leading scholars and poets, who bring an authoritative and accessible understanding to their subjects. Each chapter gives an overview of a poet's work and guides the general reader through the wider cultural, historical and comparative contexts. Exploring the dual traditions of English and Irish-speaking poets, this Companion represents the very best of Irish poetry and highlights understanding that reveals, in clear and accessible prose, the achievement of Irish poetry in a global context. It is a book that will help and guide general readers through the many achievements of Irish poets.